Raymond Arthur Palmer was an American editor of Amazing Stories from 1938 through 1949, when he left publisher Ziff-Davis to publish and edit Fate Magazine, and eventually many other magazines and books through his own publishing houses, including Amherst Press and Palmer Publications. In addition to magazines such as Mystic,Search, and Flying Saucers, he published or republished numerous spirtualist books, including Oahspe: A New Bible, as well as several books related to flying saucers, including The Coming of the Saucers, co-written by Palmer with Kenneth Arnold. Palmer was also a prolific author of science fiction and fantasy stories, many of which were published under pseudonyms. Digest size is a magazine size, smaller than a conventional or "journal size" magazine but larger than a standard paperback book, approximately 14 cm × 21 cm, but can also be 13.65 cm × 21.27 cm and 14 cm × 19 cm. These sizes have evolved from the printing press operation end. Some printing presses refer to digest-size as a "catalog size". The digest format was considered to be a convenient size for readers to tote around or to leave on the coffee table within easy reach. Ted White is a Hugo Award-winning American science fiction writer, editor and fan, as well as a music critic. In addition to books and stories written under his own name, he has also co-authored novels with Dave van Arnam as Ron Archer, and with Terry Carr as Norman Edwards. 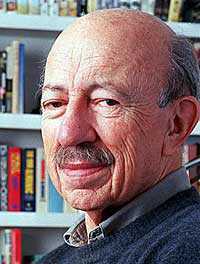 Howard Melvin Fast was an American novelist and television writer. Fast also wrote under the pen names E. V. Cunningham and Walter Ericson. Munsey's Weekly, later known as Munsey's Magazine, was a 36-page quarto American magazine founded by Frank A. Munsey in 1889 and edited by John Kendrick Bangs. Frank Munsey aimed to publish "a magazine of the people and for the people, with pictures and art and good cheer and human interest throughout". Soon after its inception, the magazine was selling 40,000 copies a week. In 1891, Munsey's Weekly adopted a monthly schedule and was renamed Munsey's Magazine. was editor throughout the 1940s so only a single color is used. volume numbering for the November 1979 issue is in fact shown correctly. season. The volume numbering in 2012 is correctly shown. September 1928 issue. This sober design sold poorly and Gernsback returned to lurid action covers. March 1961 issue, featuring James Blish's "A Dusk of Idols"
Bibliographers do not always agree who should be listed as editor of any given issue of Amazing. 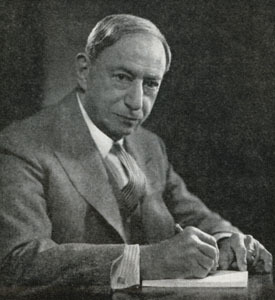 For example, Gernsback was in control for the first three years, but Sloane performed all the editorial duties related to fiction, and he is sometimes described as the editor. Similarly, later editors were sometimes under the supervision of editorial directors. Bernard Davis held the title of "Editor" of all Ziff-Davis magazines when at that company,with the actual editing of the magazines done by respective "Managing Editors".The table below, and the charts above, generally follow the mastheads in the magazines, with short notes added. More details are given in the publishing history section, above, which focuses on when the editors involved actually obtained control of the magazine contents, instead of when their names appeared on the masthead. Joseph Ross (August 1965 – October 1967). A pseudonym for Joseph Wrzos. Elinor Mavor (May 1979 – September 1982). From May 1979 – August 1981 Mavor used the pseudonym Omar Gohagen; subsequently she used her real name. 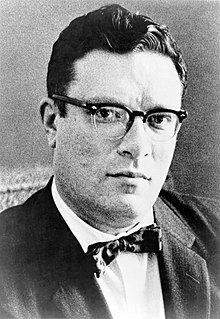 Howard Browne was an American science fiction editor and mystery writer. He also wrote for several television series and films. Some of his work appeared over the pseudonyms John Evans, Alexander Blade, Lawrence Chandler, Ivar Jorgensen, and Lee Francis. Cele Goldsmith Lalli was an American editor. She was the editor of Amazing Stories from 1959 to 1965, Fantastic from 1958 to 1965, and later the Editor-in-Chief of Modern Bride magazine. Other Worlds, Universe Science Fiction, and Science Stories were three related US magazines edited by Raymond A. Palmer. Other Worlds was launched in November 1949 by Palmer's Clark Publications and lasted for four years in its first run, with well-received stories such as "Enchanted Village" by A. E. van Vogt and "Way in the Middle of the Air", one of Ray Bradbury's "Martian Chronicle" stories. Since Palmer was both publisher and editor, he was free to follow his own editorial policy, and presented a wide array of science fiction. Fantastic was an American digest-size fantasy and science fiction magazine, published from 1952 to 1980. It was founded by the publishing company Ziff Davis as a fantasy companion to Amazing Stories. Early sales were good, and the company quickly decided to switch Amazing from pulp format to digest, and to cease publication of their other science fiction pulp, Fantastic Adventures. Within a few years sales fell, and Howard Browne, the editor, was forced to switch the focus to science fiction rather than fantasy. Browne lost interest in the magazine as a result and the magazine generally ran poor-quality fiction in the mid-1950s, under Browne and his successor, Paul W. Fairman. Fantastic Adventures was an American pulp fantasy and science fiction magazine, published from 1939 to 1953 by Ziff-Davis. It was initially edited by Raymond A. Palmer, who was also the editor of Amazing Stories, Ziff-Davis's other science fiction title. The first nine issues were in bedsheet format, but in June 1940 the magazine switched to a standard pulp size. It was almost cancelled at the end of 1940, but the October 1940 issue enjoyed unexpectedly good sales, helped by a strong cover by J. Allen St. John for Robert Moore Williams' Jongor of Lost Land. By May 1941 the magazine was on a regular monthly schedule. Historians of science fiction consider that Palmer was unable to maintain a consistently high standard of fiction, but Fantastic Adventures soon developed a reputation for light-hearted and whimsical stories. Much of the material was written by a small group of writers under both their own names and house names. The cover art, like those of many other pulps of the era, focused on beautiful women in melodramatic action scenes. One regular cover artist was H.W. McCauley, whose glamorous "MacGirl" covers were popular with the readers, though the emphasis on depictions of attractive and often partly clothed women did draw some objections. Sol Cohen was an American publisher who worked mostly in the science fiction field. Fantastic Novels was an American science fiction and fantasy pulp magazine published by the Munsey Company of New York from 1940 to 1941, and again by Popular Publications, also of New York, from 1948 to 1951. It was a companion to Famous Fantastic Mysteries. Like that magazine, it mostly reprinted science fiction and fantasy classics from earlier decades, such as novels by A. Merritt, George Allan England, and Victor Rousseau, though it occasionally published reprints of more recent work, such as Earth's Last Citadel, by Henry Kuttner and C. L. Moore. Wonder Story Annual was a science fiction pulp magazine which was launched in 1950 by Standard Magazines. It was created as a vehicle to reprint stories from early issues of Wonder Stories, Startling Stories, and Wonder Stories Quarterly, which were owned by the same publisher. It lasted for four issues, succumbing in 1953 to competition from the growing market for paperback science fiction. Reprinted stories included Twice in Time, by Manly Wade Wellman, and "The Brain-Stealers of Mars", by John W. Campbell. ↑ Ashley, Time Machines, p. 7. ↑ Ashley, Time Machines, pp. 21–25. ↑ Nicholls, Peter, "Pulp Magazines", in Clute & Nicholls, Encyclopedia of SF, p. 979. ↑ Ashley, Transformations, p. 155. ↑ Ashley, Time Machines, pp. 28–29. ↑ Ashley, Time Machines, pp. 29–35. 1 2 3 4 5 Ashley, Time Machines, pp. 48–49. ↑ Ashley, Time Machines, p. 47. ↑ "Table of Contents". Amazing Stories. August 1926. p. 385. ↑ Hugo Gernsback (March 1927). "Idle Thought of a Busy Editor". Amazing Stories. p. 1025. ↑ various (January 1927). "Discussions". Amazing Stories. p. 970. 1 2 3 Ashley, Time Machines, pp. 51–54. 1 2 3 Ashley, Time Machines, p. 238. ↑ "Business Records, Bankruptcy Proceedings". The New York Times. March 12, 1929. p. 53. "Experimenter Publishing Co., Inc., 230 Fifth Avenue – Liabilities approximately $500,000, assets not stated. Principal creditors listed are Art Color Printing Co., Dunellen, N.J., $152,908; Bulkley Dunton Co., $154,406 ..."
1 2 The bankruptcy is described in detail in Tom Perry, "An Amazing Story: Experiment in Bankruptcy" in Amazing Science Fiction vol. 51, no. 3 (May 1978), p. 161. ↑ del Rey, World of Science Fiction, p. 47. 1 2 3 4 5 Brian Stableford, "Amazing Stories", in Clute & Nicholls, Encyclopedia of SF, pp. 25–26. ↑ Ashley, Time Machines, pp. 63–64. ↑ "To Pay 95% Of Debts In $600,000 Failure". The New York Times. April 4, 1929. p. 22. ↑ Ashley, Time Machines, p. 76. ↑ "Teck Publishing Corp. J Schultz. 522 5th Av. $10,000" Joseph Schultz was the attorney for Macfadden Publications, Inc.
↑ Ashley, Time Machines, p. 77. 1 2 3 Ashley, Time Machines, pp. 112–116. ↑ Ashley, Time Machines, p. 85. ↑ "Ziff-Davis Publishing Company, New York and Chicago, has purchased Radio News Magazine and Amazing Stories." ↑ Ashley, Time Machines, pp. 143–144. ↑ Ashley, Time Machines, p. 119. ↑ del Rey, World of Science Fiction, pp. 117–118. ↑ Ashley, Time Machines, pp. 178–180. 1 2 Ashley, Time Machines, pp. 183–185. ↑ A dummy issue is a magazine issue produced to show to potential advertisers or for advance review. See the glossary at this publisher page: "Barking Raven Press: "Artful Publications for Artful Minds"". Barking Raven Press. Retrieved November 1, 2008. ↑ Ashley, Time Machines, pp. 220–225. ↑ Ashley, Transformations, p. 7. ↑ Ashley, Transformations, pp. 48–51. 1 2 Ashley, Transformations, pp. 173–174. ↑ Ashley, Transformations, p. 353. 1 2 3 4 5 6 Ashley, Transformations, pp. 222–226. ↑ Carlson, Walter (June 23, 1965). "Advertising: Death and Taxes and Insurance". The New York Times. p. 62. " [P]urchase by the Ultimate Publishing Company, Inc., of two science-fiction magazines from Ziff-Davis Publishing Company. [Amazing Stories and Fantastic.] ... according to Sol Cohen, president of Ultimate." 1 2 Ashley, Transformations, p. 263. ↑ Ashley, Transformations, p. 321. ↑ Ashley, Transformations, p. 325. 1 2 3 Ashley, Transformations, pp. 263–267. ↑ Ashley, Gateways, p. 72. 1 2 Ashley, Gateways, p. 74. 1 2 Ashley, Gateways, p. 480. ↑ Ashley, Gateways, pp. 84–85. ↑ Ashley, Gateways, pp. 85–86. ↑ Ashley, Gateways, pp. 347–348. 1 2 3 4 5 Ashley, Gateways, pp. 348–355. ↑ "The History of TSR". Wizards of the Coast. Archived from the original on 2008-10-04. Retrieved 2005-08-20. 1 2 3 4 5 6 7 8 9 See the individual issues. For convenience, an online index is available at "Magazine: Amazing Stories – ISFDB". Texas A&M University. Archived from the original on 5 July 2008. Retrieved June 14, 2008. ↑ Schliesel, Seth (March 5, 2008). "Gary Gygax, Game Pioneer, Dies at 69". The New York Times. 1 2 "Locus Online: Profiles of September 1998 Magazines". Locus Publications. Archived from the original on 29 August 2008. Retrieved September 20, 2008. 1 2 Miller, Stephen G.; William T. Contento. "Amazing Stories Checklist". Locus Publications. Retrieved September 12, 2008. 1 2 3 "Amazing Stories And Undefeated Magazines Cancelled". Paizo Publishing. Archived from the original on 29 March 2006. Retrieved April 2, 2006. ↑ "Amazing Stories Trademark Acquired" . Retrieved October 1, 2011. ↑ "Magazine Back Issues". Amazing Stories. The Experimenter Publishing Company. Archived from the original on 2014-05-13. Retrieved 2014-05-16. 1 2 Brooks, David (November 6, 2015). "Push to resurrect Amazing Stories". Granite Geek. ↑ Brooks, David. "The original science fiction magazine 'Amazing Stories' back in print thanks to N.H. push". Concord Monitor. Concord Monitor. Retrieved 2018-09-22. ↑ Quoted in Ashley, Time Machines, p. 50. 1 2 Ashley, Time Machines, p. 50. ↑ Carter, Creation of Tomorrow, p. 3. 1 2 Ashley, Time Machines, pp. 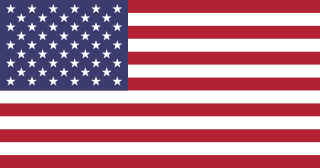 50–51. ↑ del Rey, World of Science Fiction, p. 45. 1 2 3 Ashley, Time Machines, pp. 54–56. ↑ "Discussions", Amazing Stories, October 1928, p. 662; quoted in Ashley, Time Machines, p. 56. ↑ Ashley, Time Machines, p. 58. ↑ del Rey, World of Science Fiction, p. 80. ↑ Ashley, Time Machines, p. 60. ↑ Sanders, Smith, pp. 1 & 9; Moskowitz, Seekers, p. 15. ↑ Moskowitz, Seekers, p. 15. ↑ Ashley, Time Machines, pp. 61–62. 1 2 Ashley, Time Machines, p. 64. ↑ Ashley, Time Machines, p. 69. ↑ del Rey, World of Science Fiction, p. 62. ↑ Ashley, Time Machines, p. 113. ↑ Ashley, Gernsback Days, p. 156. 1 2 del Rey, World of Science Fiction, pp. 114–115. ↑ Ashley, Time Machines, p. 112. ↑ Ashley, Time Machines, pp. 116–117. ↑ Ashley, Time Machines, pp. 118–119. ↑ John Clute & Malcolm Edwards, "Isaac Asimov", in Clute & Nicholls, Encyclopedia of Science Fiction, p. 56. ↑ del Rey, World of Science Fiction, p. 116. ↑ Ashley, Time Machines, pp. 176–177. ↑ Ashley, Time Machines, pp. 179–180. ↑ Ashley, Time Machines, pp. 184–185. ↑ Ashley, Time Machines, p. 225. ↑ Ashley, Transformations, pp. 222–223. The quote is from an unpublished letter from Heinlein to Goldsmith, quoted by Ashley. ↑ Ashley, Transformations, pp. 224–225. The quote from Zelazny is from a personal letter from Zelazny to Cele Lalli (Goldsmith), dated March 20, 1965, quoted in Ashley p. 225. ↑ Ashley, Transformations, pp. 263–264. ↑ Ashley, Transformations, pp. 266–267. ↑ Ashley, Gateways, pp. 70–74. ↑ Ashley, Gateways, pp. 74–76. The quote is from Universe SF Review, September/October 1975, quoted by Ashley on p. 76. ↑ Ashley, Gateways, pp. 82–83. ↑ Ashley, Gateways, pp. 78–79. 1 2 3 Gunn, New Encyclopedia, p. 16. ↑ Gunn, New Encyclopedia, p. 503. ↑ "Locus Online: SF News January 1998". Locus Publications. Retrieved September 20, 2008. ↑ "Locus Online: Magazines: December 1999". Locus Publications. Retrieved September 20, 2008. ↑ "Locus Online: New Magazines". Locus Publications. August 2004. p. 1. Retrieved September 22, 2008. ↑ "Paizo Amazing blog". Paizo Publishing. Archived from the original on December 9, 2006. Retrieved October 22, 2006. ↑ "Locus Online: New Magazines". Locus Publications. November 2004. p. 2. Retrieved September 22, 2008. 1 2 Knight, Futurians, p. 2. ↑ Aldiss, Trillion Year Spree, p. 205. ↑ Franson and DeVore, "History", p. 3. ↑ Nicholls, Peter, "Hugo", in Clute & Nicholls, Hugo, p. 595. ↑ See, for example, the titles of Moskowitz, Hugo Gernsback: Father of Science Fiction, and Siegel, Hugo Gernsback: Father of Modern Science Fiction. ↑ Fairman began writing the editorials with the May 1956 issue, and in the July 1956 editorial he explained that Browne was on a two-month contract in Hollywood, writing scripts for Cheyenne . In the August editorial he announced that the change was permanent, and in the September 1956 issue Fairman was listed as editor on the masthead for the first time. See Fairman, Paul W. (May 1956). "The Observatory". Amazing Stories. 30 (5): 3. , Fairman, Paul W. (July 1956). "The Observatory". Amazing Stories. 30 (7): 6. , Fairman, Paul W. (August 1956). "The Observatory". Amazing Stories. 30 (8): 6. , Fairman, Paul W. (September 1956). "Masthead". Amazing Stories. 30 (9). ↑ Lobsenz was introduced in the November 1958 editorial, as if he were the editor. His title was editorial director. According to Mike Ashley, who corresponded with Cele Lalli, he was brought in as a consultant, wrote the editorials and story blurbs, met intermittently with Goldsmith, and read the stories she selected, but "she was soon left alone to edit the magazines as she saw fit". See Fairman, Paul W. (November 1958). "Introducing the New Editor". Amazing Stories. 32 (11): 5. , and Ashley, Transformations, p. 222. 1 2 3 4 Tuck, "Amazing Stories", p. 535. ↑ Ashley, Time Machines, pp. 237–238. ↑ Ashley, Transformations, pp. 320–321. ↑ Ashley, Gateways, p. 425. ↑ "Corporate Changes". The New York Times. June 21, 1930. "Experiments [ sic ] Publishing, Manhattan to Radio Science Publications." ↑ Bleiler & Bleiler (1998), pp. 561–564. ↑ John Clute, "Martin H. Greenberg", in Clute & Nicholls, Encyclopedia of SF, pp. 522–523. ↑ Bennetts, Leslie (July 31, 1984). "Spielberg to Produce Adventure Series for NBC". The New York Times. ↑ "Simon & Schuster: The Amazing Stories (eBook)". Simon & Schuster. Retrieved September 13, 2008. Aldiss, Brian; Wingrove, David (1986). Trillion Year Spree: The History of Science Fiction. London: Gollancz. ISBN 0-575-03943-4. Clute, John; Nicholls, Peter (1993). The Encyclopedia of Science Fiction. New York: St. Martin's Press, Inc. ISBN 0-312-09618-6. Gunn, James (1988). The New Encyclopedia of Science Fiction. New York: Viking. ISBN 0-670-81041-X. "Amazing Stories Checklist". Stephen G. Miller and William T. Contento. Retrieved September 1, 2008. Moskowitz, Sam (1959). Hugo Gernsback: Father of Science Fiction. New York: Criterion. Moskowitz, Sam (1966). Seekers of Tomorrow. World Publishing. ISBN 0-88355-129-2. Sanders, Joseph (1986). E.E. "Doc" Smith. Starmont House. ISBN 0-916732-73-8. Siegel, Mark Richard (1988). Hugo Gernsback: Father of Modern Science Fiction. Borgo Press. ISBN 0-89370-274-9. Wikimedia Commons has media related to Amazing Stories .